Nazakat Hussain said his family and others lack underground shelters and had to leave. He said cold weather and snow, along with cross-border shooting, prevented them from leaving earlier. Pakistani government official Moazzam Zafar said some 200 families have already taken shelter in three large government buildings in the territory. 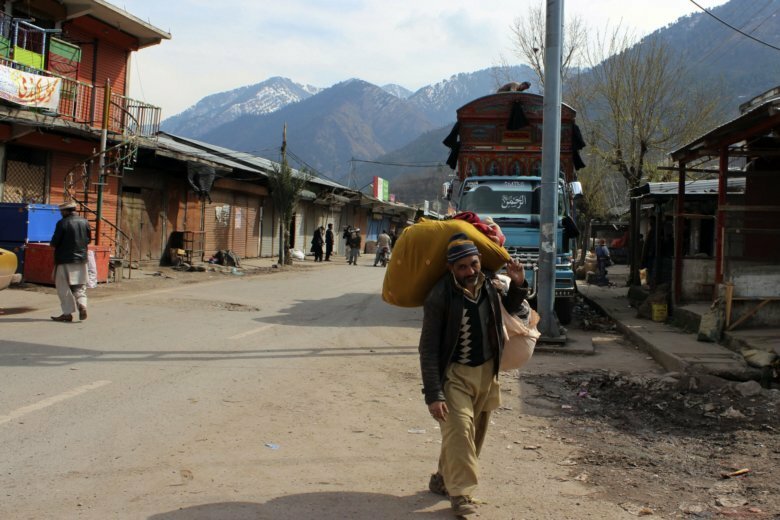 Zafar said the authorities were providing warm clothing, bedding, food and medicines, and would establish more shelters. At least eight civilians and two soldiers have been killed in Pakistani-controlled Kashmir since tensions soared following India’s airstrike last Tuesday inside Pakistan. India said the strike targeted militants behind a Feb. 14 suicide bombing in Indian-controlled Kashmir that killed more than 40 Indian troops. The rivals struck a cease-fire deal in 2003 but regularly trade cross-border fire. On Sunday, British Prime Minister Theresa May spoke by phone with Pakistan’s Prime Minister Imran Khan, welcoming the return of the captured Indian pilot and reduction in tensions. “The Prime Minister emphasized the importance of Pakistan taking action against all terrorist groups, in support of global efforts to combat terrorism,” the statement said.